A guided-missile destroyer named for a Mexican immigrant who became as Marine hero entered service Saturday in a solemn commissioning ceremony at North Island. 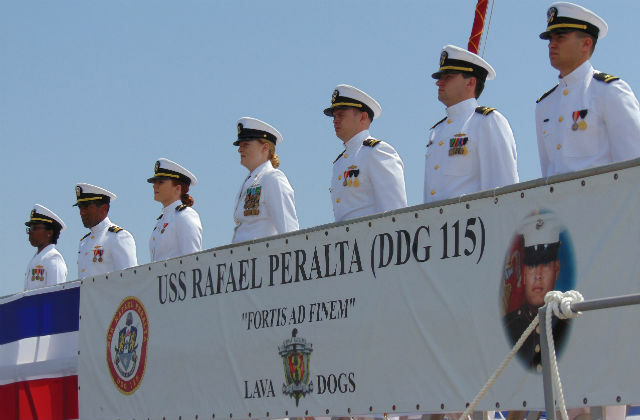 The USS Rafael Peralta, a 509-foot Arleigh Burke-class destroyer, is named for a San Diego resident who entered the Marines after graduating from Morse High School and died saving his squad during the Second Battle of Fallujah. A crowd of 2,400 people lined the pier in front of the new warship and heard members of Congress and the commander of the Pacific Fleet honor the memory of Peralta, who is buried across the bay in Fort Rosecrans National Cemetery. 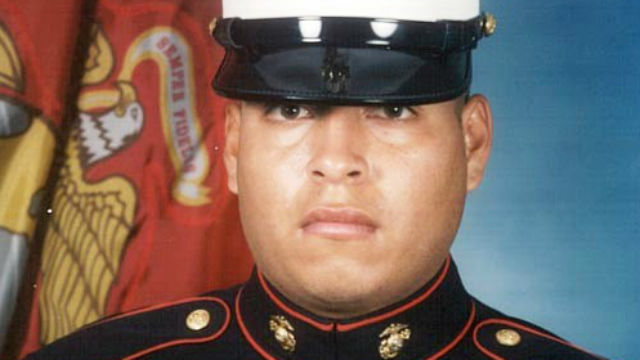 Rep. Scott Peters said Peralta’s sacrifice in the largest battle of the Iraq war was emblematic of Marine heroism. Peralta received the Navy Cross for his heroism, and Rep. Duncan Hunter is seeking the posthumous award of the Congressional Medal of Honor. Hunter’s father spoke at the ceremony and promised his son would work to secure the medal. San Diego Mayor Kevin Faulconer said the military is an essential part of San Diego, and Peralta’s story is an inspiration to everyone in the city. Peralta’s mother, Rosa, gave the traditional command to “man the ship and bring her to life,” and the crew of 300 rushed up the gangways and lined the rails. Two Marine V-22 Ospreys then flew over the ship in a salute. 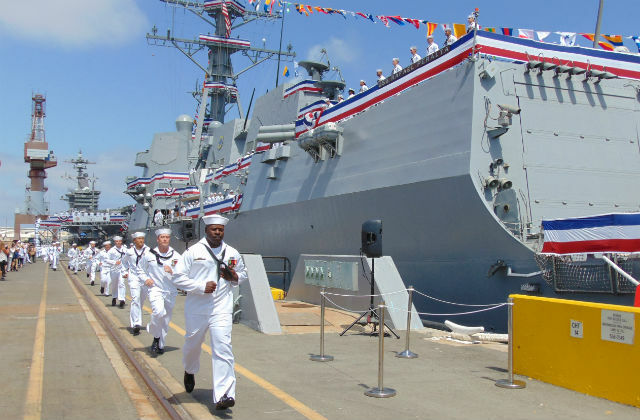 The Peralta is the 64th Arleigh-Burke class guided-missile destroyer in the Navy. It’s armed with 96 guided missiles in vertical launch tubes, a 5-inch gun, torpedoes, anti-aircraft guns and two helicopters.